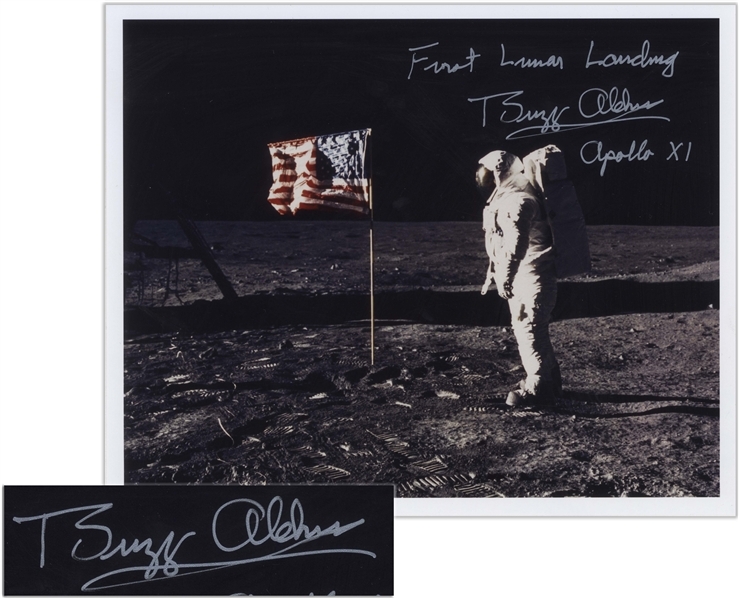 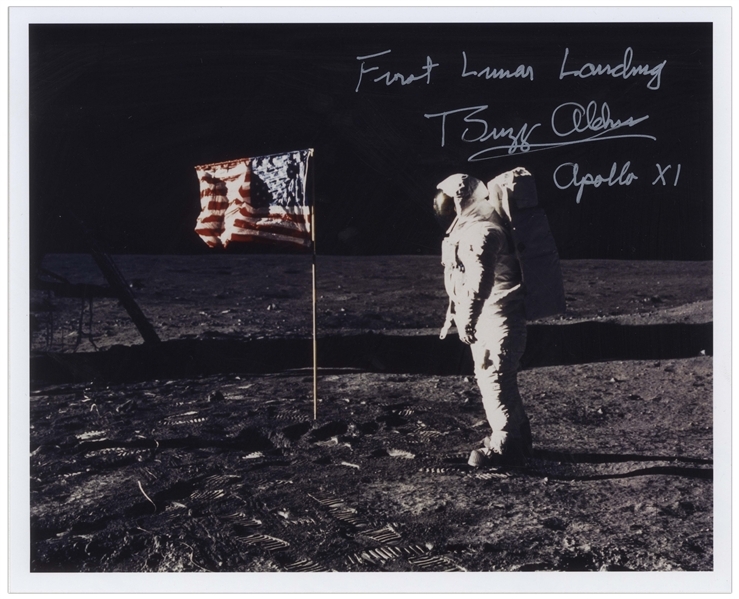 Buzz Aldrin signed 10'' x 8'' photo, signed in silver marker, ''First Lunar Landing / Buzz Aldrin / Apollo XI''. Aldrin is shown famously standing before the United States flag. 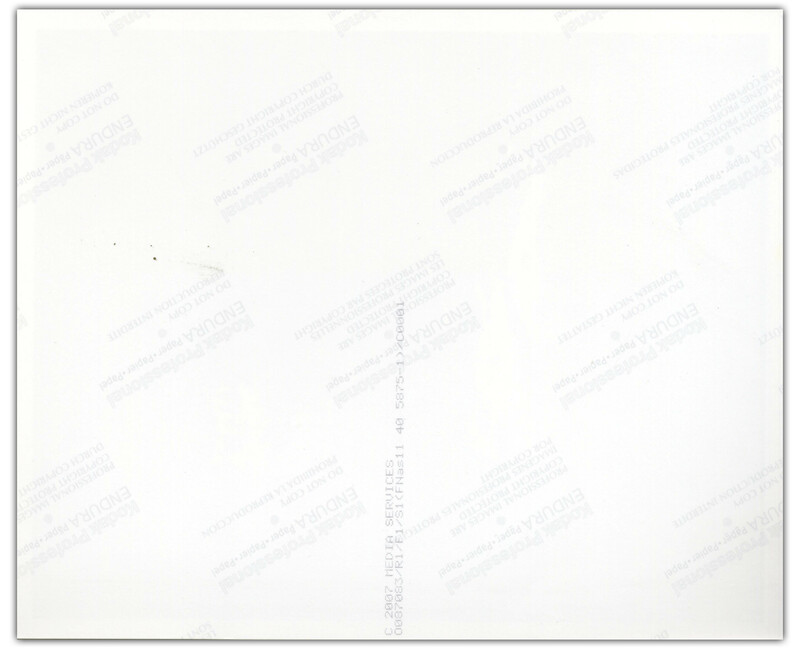 Satin finish photo is near fine.